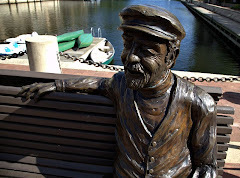 Restonian: News blog from Reston, Virginia, the mauve-colored New Town (tm): Happy New Year! Reston rang in 2008 not with a bang, but with a stabbing off Glade Drive. In Reston, authorities said that at about 2 a.m. on Tuesday, officers were called to Glade Drive and Mariginella Street on a report of a stabbing. Once at the scene, police found a man suffering from non-life-threatening stab wounds. Police did not say whether that victim was taken to a local hospital. Unfortunately, our longstanding theory is true: Crime has escalated from sticks and stones to something worse.